There is no greater tragedy in business than putting competent employees into jobs in which they are destined to fail. When good people are put into jobs in which they do not fit, their potential is wasted. Job match or PROFILES JOB FIT™ is the single most important factor in job success. Yet many employers overlook job match when allocating human capital. Learn how to engage your workforce. An example of a poor job fit is when a company picks its best salesperson to be a sales manager and then finds that he or she is less successful and less productive in the new position. The qualities that make a great salesperson are different from those of a great sales manager. It is rare when an individual can succeed at both. Using the PROFILES XT® as a key part of your pre-employment screening system, you will be able to uncover why some of your employees perform at extraordinary levels while others, who appear to be equally qualified, are only average performers. Placing the right people in the right positions will make a positive impact within your organization. Based on objective criteria, the management team selects top performers in a given position. The top-performing employees are assessed based on mental abilities, behavioral traits, and occupational interest. This data are processed at your company's Online Assessment Center. The result is a unique top performer PROFILES JOB FIT™ profile. "When good people are put into jobs in which they do not fit, their potential is wasted." Using 26 years of research and the inclusion of 117,000 working individuals, we have constructed more than 1,200 validated job profiles in our Assessment Center Matrix. 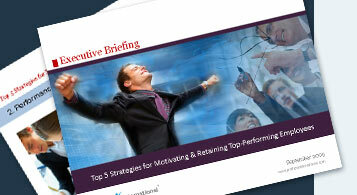 This is an ideal resource when a new position is created or top performers are not present. From the online assessment center, companies can select job profiles from the matrix database. With the job profile analysis, multiple managers have the ability to voice their opinions and views regarding a specific position. Once the 57-question analysis is complete, managers' responses are entered into the assessment center for processing. The result is a unique PROFILES JOB FIT™ profile. From the Assessment Center, reports are generated in real time. Wherever there is internet connectivity, your assessment center is available for immediate results. We offer our clients a full range of reporting features. Each report is designed for a specific use: prescreening, hiring, promoting, coaching, training, team building, or leadership development. Our reports are written at face value and require no outside interpretation or certification. The design features of our reports include graphical illustrations coupled with bulleted highlights. For example, our placement report offers graphs plotting the candidate’s scores, percentage results, interview questions, and bulleted statements summarizing the candidate’s results. Using Profiles International’s PROFILES JOB FIT™ technology will save you time and prevent challenges associated with employee placement.